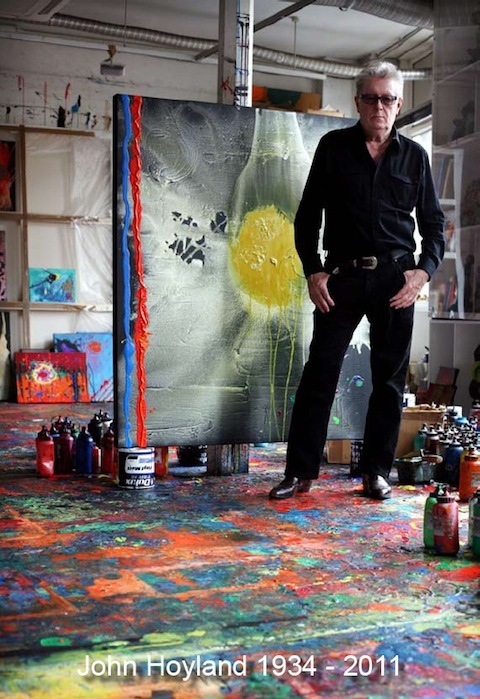 He’s one of Australia’s best known and most loved artists. ATL celebrates grand master John Olsen & his mesmerising body of work inspired by Lake Eyre. 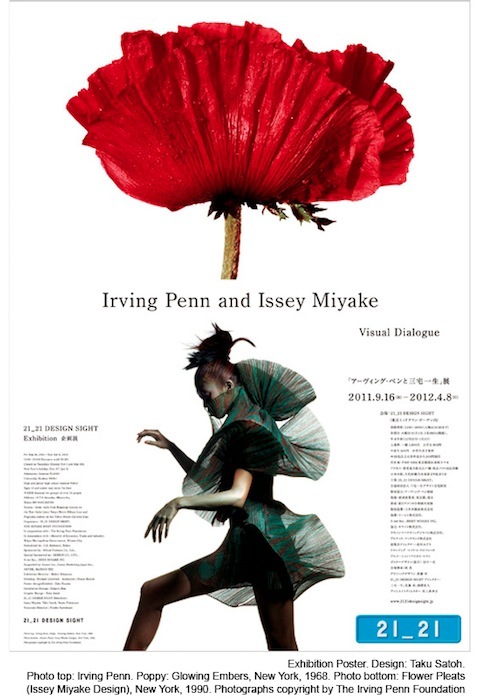 One of our favourite Tokyo exhibition spaces is gearing up for a glittering new show ~ Irving Penn & Issey Miyake Visual Dialogue. ATL (pre)views 21_21 Design Sight. Acclaimed British painter John Hoyland died last week. 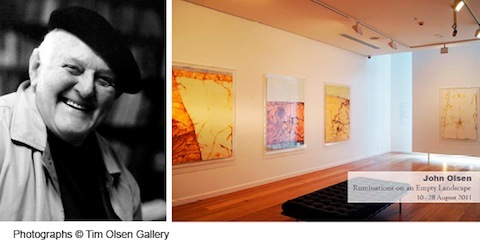 Australian audiences have a unique opportunity to view his recent work at Melbourne’s Charles Nodrum Gallery. ATL reports. 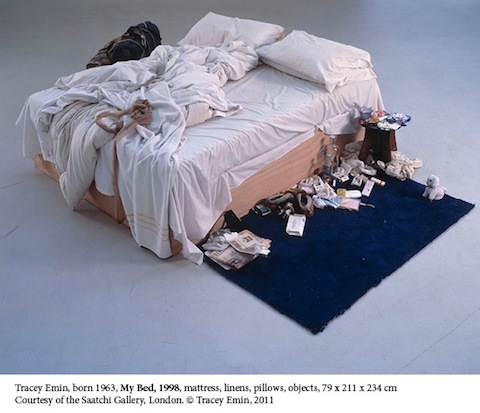 ATL interviews artist Silke Raetze. 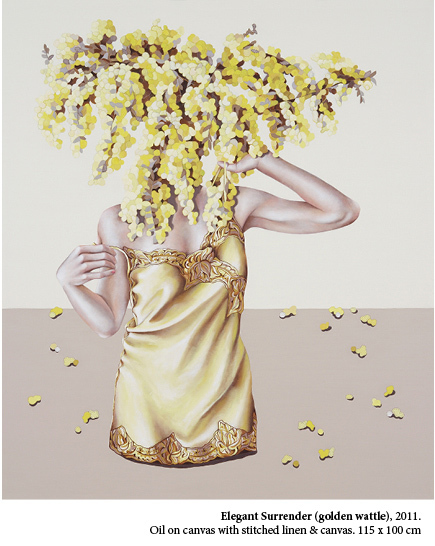 The artist subverts notions of feminine beauty and elegance in her latest work.